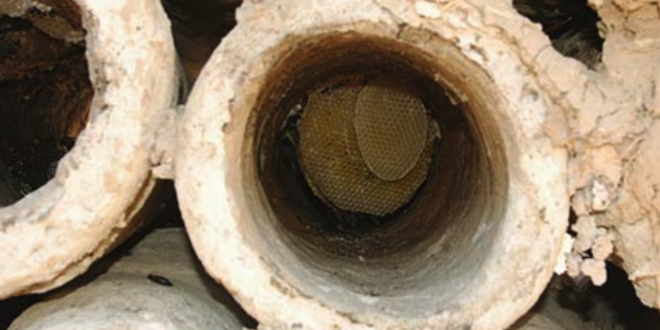 Beeswax was found at the bottom of the ancient beehives excavated at Tel Rehov in the Jordan Valley, the oldest ever discovered. An Israeli archaeologist made a remarkable and rare discovery to ensure that all of Israel has a year as sweet as honey, while helping understand the Bible just a little bit better. Hebrew University professor Amihai Mazar was exploring an archaeological dig at a site in the Jordan Valley called Tel Rehov when he found evidence of beekeeping 3,000 years ago, the oldest evidence of this industry ever discovered. Biblical scholars believe that when the Bible mentions honey, it is usually referring to honey made from dates. 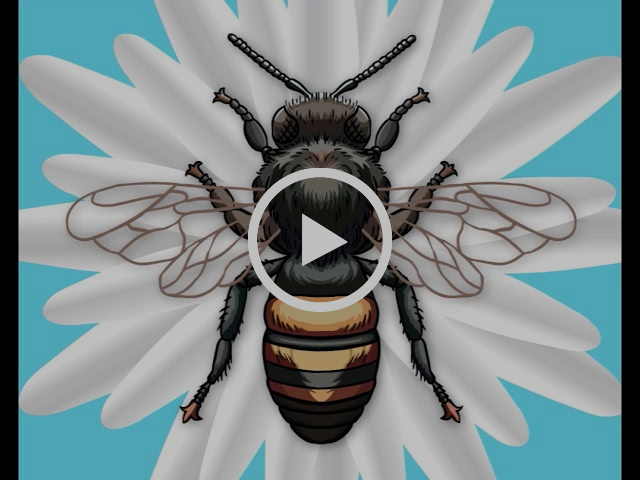 Professor Mazar pointed to his discovery as evidence that the Bible could also be referring to honey from bees. Just last week, Jews around the world dipped apples in honey in hopes of a blessedly sweet New Year. This find may indicate that the link between Jews and honey is more ancient than previously thought. The archaeologists did not expect to find beehives while digging, but there was no other explanation for the discovery. 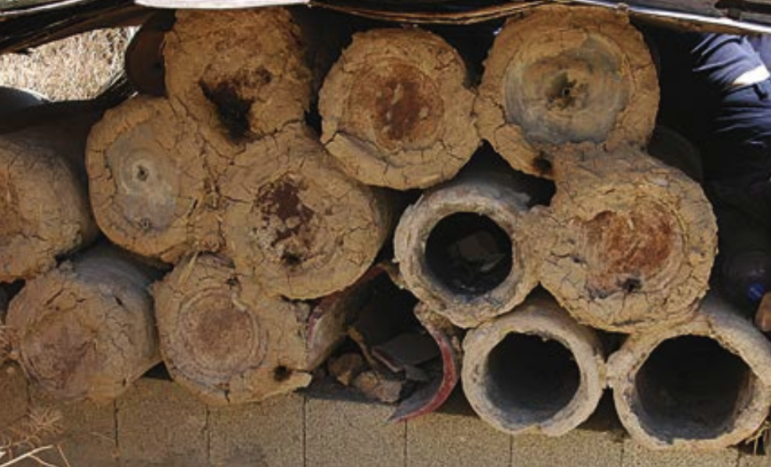 “We found a long row of clay cylinders, each one of them approximately two and a half feet long and about one foot in diameter,” Professor Mazar told Breaking Israel News. 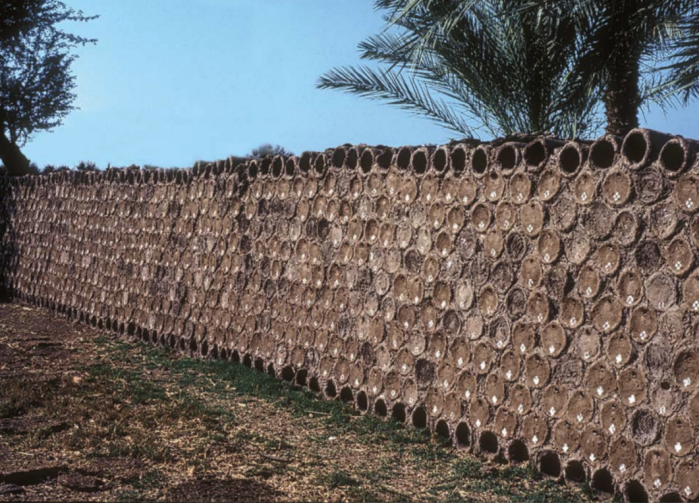 The clay pots, made of unbaked clay mixed with straw, were piled three high. The researchers eventually concluded they had discovered the oldest beehives in the world. Sealed with removable lids at one end, the other end of the cylinder had a small hole for the bees to enter. 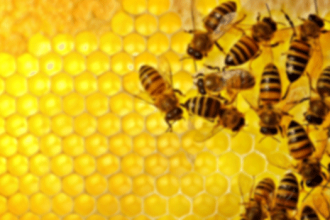 The discovery was unprecedented, and no other ancient hives have been found in Israel. Many archaeologists believe the site is where the Prophet Elisha lived at approximately the same time bees were buzzing around. “Though it was not mentioned in the Bible, this was a very large and important city in the time of King Achav and Elijah the prophet,” Professor Mazar said. He estimated that at the time, the city was home to approximately 2,500 people. Researchers believe there were at least 180 hives housing more than a million bees, with each hive producing about 11 pounds of honey each year. 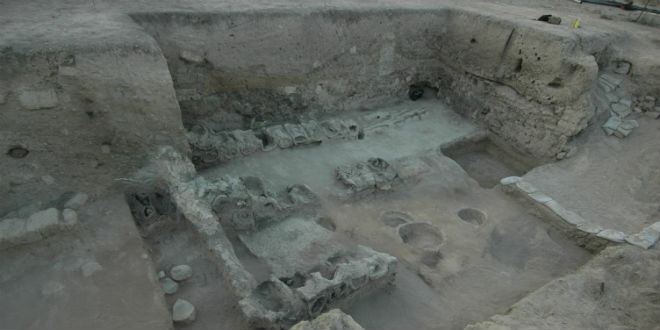 The archaeologists also found remains of actual bees, identifying the breed as being native to Turkey. Next articleCATCH THE BUZZ – Get Your Bees Through The Hardest Season!